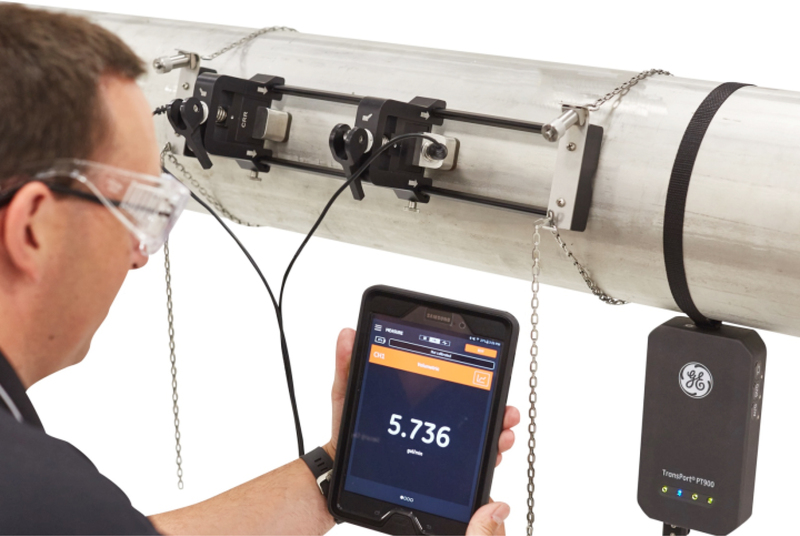 BHGE has responded to user demand for a faster, simpler and more confident flow measurement system by creating the Panametrics TransPort PT900 portable ultrasonic liquid flow meter. Along with an all-new – and quicker – clamping system, the PT900 offers you smart device technology for easy and intuitive use via a tablet and Bluetooth connection. 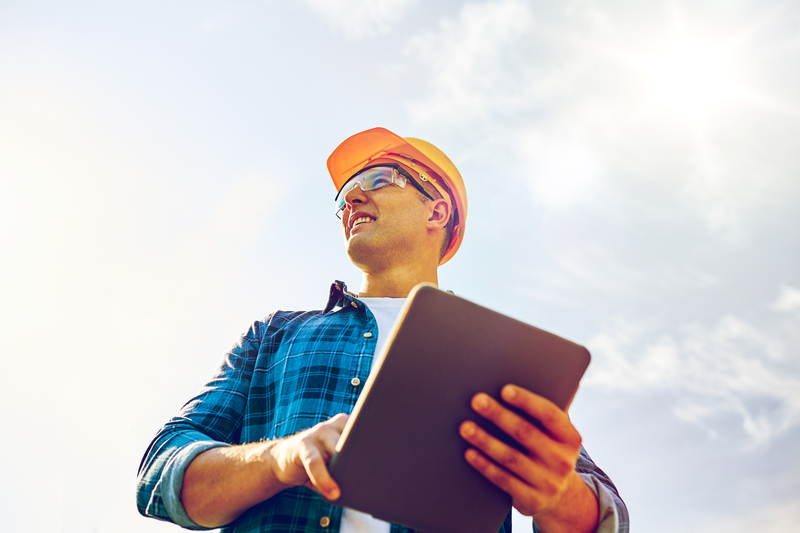 You can rely on taking accurate readings within minutes of arriving on site, and with 8 GB of data logging storage, running out of space is not a concern. You will find the TransPort PT900 convenient to carry between different locations for spot metering, temporary flow measurement and checking of other meters. As a clamp-on meter, it measures flow without having to stop industrial processes or cut into the pipe. This new-generation ultrasonic flow meter is suitable for measurement of most liquids, ranging from purified water and refined hydrocarbons to denser fluids like crude oil. Building on the success of its popular predecessor, the rugged and high-performing TransPort PT878, BHGE’s new flow meter incorporates the latest technological advances. In particular, the TransPort PT900 draws on user-friendly capabilities made possible by today’s smart communication devices. These combine with a fast-responding, highly accurate transmitter and efficient clamping mechanism to improve meter performance, boost your productivity and give you a better user experience. The TransPort PT900 kit is packaged in a handy protective carrying case that includes the clamping fixture and transducers, flow transmitter and accessories. Its compact, robust transducers will cope with the toughest of conditions and are sealed to IP65 standard – as is the transmitter. Maintenance is straightforward, with red and green LED health indicators on the transmitter and a replaceable battery. Correctly attaching the transducer assembly to a pipe is quick and fool-proof. TransPort PT900 will give dependable results with a wide variety of pipe sizes, pipe materials (both lined and unlined) and liquids. Velocity, volume, mass, totalizer and energy flow rate measurements can be recorded to an accuracy of ± 1% of the reading, and with a repeatability of ± 0.2%. Getting more done in the day is made easy thanks to the PT900’s versatility, speed and reliability. Your interface with the TransPort PT900 is the familiar touch-and-wipe screen of an Android tablet, on to which, the free to download PT900 app can be installed. In fact, if your tablet is ever unavailable for any reason, just download the app to your Android phone and run the unit from there. Your tablet or phone will connect wirelessly to the flow transmitter via Bluetooth. Bright, colorful and clear icon based choices lead you intuitively through all procedures, including programming. Not only are there 15 language options, but if users are experiencing trouble there are online options available for help. From opening the TransPort PT900 carrying case to initiating flow measurement takes only minutes. The system has 8 GB of memory, so large data logs will not be a problem and you won’t have to keep stopping to empty space for more. It takes you step by step through the simple onscreen process of selecting the appropriate pipe material, liquid type, temperature and transducers. You are then shown a very straightforward procedure for applying the assembly to the pipe. Finally, measurement parameters are chosen, and recorded values are displayed on the tablet. In essence, you add a new log name then choose the start and end dates and times for recording data. To download data, you plug a connector from the transmitter into your laptop and find your log under ‘Removable Disk (D)’ in its directory. TransPort PT900 has uses in almost every industry with a need for spot or temporary flow measurement. Engineers and managers involved in industrial quality control or field flow measurement should be especially interested in its advantages. From an extensive range, you can choose the right transducers for most applications. It has great potential to measure pipe flow in treatment plants and elsewhere in the water and wastewater sector. In oil and gas, it is ideal for crude oil pipelines. Boiler process piping and cooling water systems are just two areas in which power generation can benefit from its use. Food and beverage, chemical and industrial plants will also be key users. Fluids measured include: potable, waste, cooling and heating water; ultra pure water and liquids; water and glycol solutions; refined hydrocarbons; crude, diesel, fuel and lubricating oils; chemicals, beverages and other homogeneous liquids which flow through pipes. When ordering the TransPort PT900 system, you can choose the configuration that best meets the needs of your application. Do you want one channel or two? What power cord specification is most appropriate for your region? What extremes of liquid temperature and pipe diameter do you face? You can also select from a list of optional extras. They include a heavier-duty wheeled case, Android tablet, energy measurement kit, pipe wall thickness gauge, spare battery and charger, and additional cables. The development of the TransPort PT900 follows an unprecedented effort by BHGE to understand exactly what users want and need when measuring flow rates. Its result is a complete portable package that’s versatile, easy to install, intuitive to use and reliably accurate even in the most difficult applications. Have more questions or interested in purchasing a GE Panametrics TransPort PT900? Feel free to contact us at 847-577-3980 or email info@bergeng.com. A Berg sales engineer will be happy to assist.